Currently viewing the tag: "Leica"
Leica M10 – 24mp full-frame sensor, digital rangefinder, thinner than previous Leica M cameras. Reviews: ePHOTOzine. Leica TL2 – 24mp APS-C CMOS sensor, mirrorless interchangeable lens camera, 4K video. Reviews: ePHOTOzine. 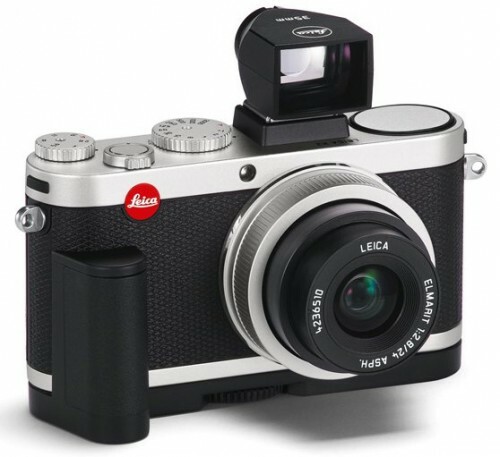 Leica CL – 24mp APS-C CMOS sensor, mirrorless interchangeable lens camera, 4K video, EVF. Leica CL Sample photos. Leica X-U – Underwater / waterproof version of the Leica X (113). Reviews: RedDotForum, HaveCameraWillTravel. Leica M-D – Screenless 24mp full-frame digital rangefinder. Reviews: Fstoppers. 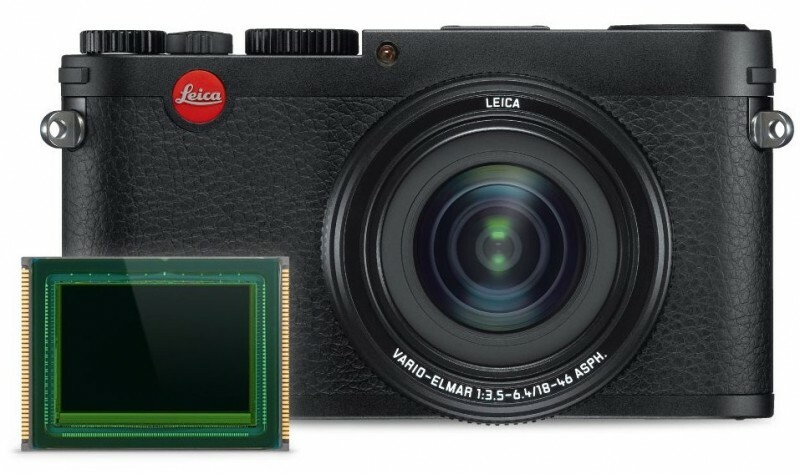 Leica TL – mirrorless interchangeable lens camera, 16mp APS-C CMOS sensor. Reviewed by Stuff. Leica Q (Typ 116) – 28mm lens, f/1.7, 24mp Full-Frame sensor, FullHD video. Reviews: ePHOTOzine, Alex Cornell. Leica M Monochrom (Typ 246) – 24mp full-frame monochrome sensor, Digital Rangefinder, FullHD video. Reviews: ePHOTOzine. Leica M (Typ 262) – 24mp full-frame digital rangefinder, FullHD video. Leica SL (Typ 601) – 24mp Full-frame mirrorless camera, Wi-Fi, 4K video, 11fps continuous shooting, EVF. Reviews: ePHOTOzine. Leica T (Typ 701) – Leica’s first mirrorless interchangeable lens camera, 16mp APS-C CMOS sensor. Reviews: ePHOTOzine, Fstoppers. Leica X (Typ 113) – 35mm equivalent lens, f/1.7, 16.5mp APS-C CMOS sensor, FullHD video. Reviews: ePHOTOzine. Leica X-E – 35mm equivalent lens, f/2.8, 16.5mp APS-C CMOS sensor. 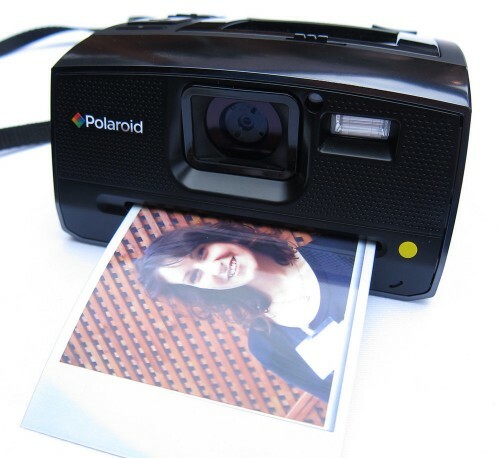 Reviews: The Phoblographer. Leica D-Lux (Typ 109) – Based on the Panasonic Lumix LX100, f/1.7-2.8, 3.1x optical zoom lens, 20mp 1inch sensor, 4K video. Reviews: ePHOTOzine. Leica V-Lux (Typ 114) – Based on the Panasonic Lumix FZ1000, f/2.8-4, 16x optical zoom lens, 20mp 1inch sensor, 4K video. Reviews: RedDotForum. Leica M-P (240) – 24mp full-frame digital rangefinder. Reviewed by Wired. Leica C Compact – (Typ 112) 12 megapixel, 7.1x optical zoom, EVF, Compact camera based on the Panasonic Lumix LF1. Details, Sample Photos. Leica X Vario – 16 megapixel compact camera with APS-C CMOS sensor, and 2.5x optical zoom lens, 28-70mm equivalent, f/3.5-6.4 aperture. Leica M (Type 240) – Top of the range 24 megapixel full frame digital rangefinder with CMOS sensor, video recording(! ), and live view(! ), roughly £6k body only. – Reviews: Wedding Photographer, Specifications, Sample Photos: ePHOTOzine, SteveHuffPhoto. Leica S – 37.5 megapixel Medium format Digital SLR. Leica M-E – A “budget” or “entry level” £4000 18 megapixel full frame CCD sensor digital rangefinder (no video, no live view). – Reviews: AP, 50lux, RedDotForum Comparison. Leica M Monochrom – Black and white full frame 18 megapixel CCD sensor digital rangefinder (no video, no live view), £6200. – Reviews: AP, Jonathan Slack, Phoblographer, RedDotForum, MingThein, Sample Photos PopPhoto, ePHOTOzine. Leica X2 – Compact by Leica with 16 megapixel APS-C CMOS sensor. – Reviews: ePHOTOzine, PhotographyBLOG, Specifications, Sample Photos, SteveHuffPhotos. 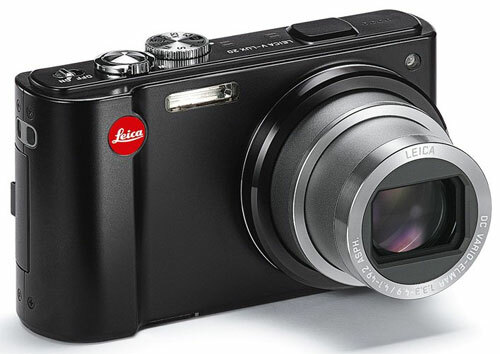 Leica D-Lux 6 – based on the Panasonic Lumix LX7, 10.1 megapixel, f/1.4 3.8x optical zoom lens. – Reviews: ePHOTOzine, MingThein, RedDotForum. 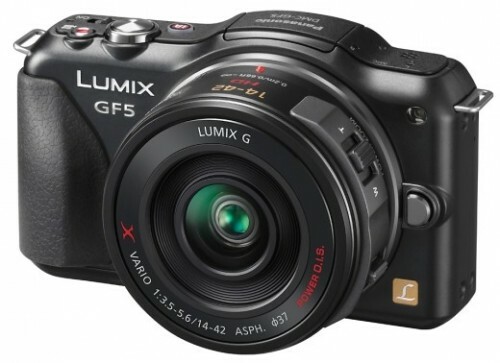 Leica V-Lux 4 – ultra-zoom based on the Panasonic Lumix FZ200, f/2.8 24x optical zoom lens. – Reviews / Sample photos: RedDotForum. – Reviews / Sample photos: PhotographyBLOG. The Leica X Vario is a new digital camera with a 16.5 megapixel APS-C CMOS sensor, with a 2.5x optical zoom lens – f/3.5-f/6.4, 28 to 70 mm (35 mm equivalent), 3inch screen, full HD video recording, with an RRP of £2150 including VAT. 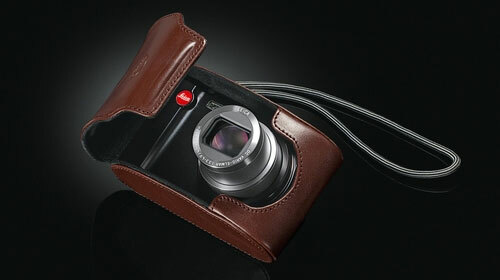 More details can be found on Leica’s website. There were some of the big camera companies, including Canon, Nikon, and Fujifilm, with few other camera companies including Sigma and Minox, although you could see a number of lenses from the likes of Tokina, Carl Zeiss, Tamron, Sigma, Samyang, and bags and tripods from Manfrotto, Giottos, Gitzo, 3 Legged Thing, and others (Cullmann, Triopos, Benro etc). More tripods than you can shake a stick at? Canon CanoScan 9000F Mark II Launched – flatbad scanners are still around. Three new digital backs from Phase One, ePHOTOzine has the details. BlackMagicDesign Cinema Camera EF Hands-On – 2.5k Video camera. Sigma 60mm f/2.8 DN Hands-On – Mirrorless lens. New 80-400mm Telephoto Zoom Lens From Nikon Announced – updates the classic lens, preview here. Canon EF 200-400mm f/4 L IS USM Hands-On – with built in teleconverter. Fujifilm X Lens Roadmap Shown – along with specifications for the 55-200mm lens. Carl Zeiss 135mm f/2 Lens Hands-On – new telephoto prime from Carl Zeiss. Nikon Coolpix L320 Launched – entry level 26x optical zoom ultra zoom camera. Nikon Coolpix A Announced with 16mp APS-C sensor in a compact, preview here. Nikon Coolpix P330 Announced – Hands-On Preview – a compact with RAW, and 5x optical zoom. Nikon Coolpix AW110 Hands-On Preview – 18m waterproof compact! Fujifilm X100s Wide Angle Converter Preview – advanced compact with APS-C sensor. 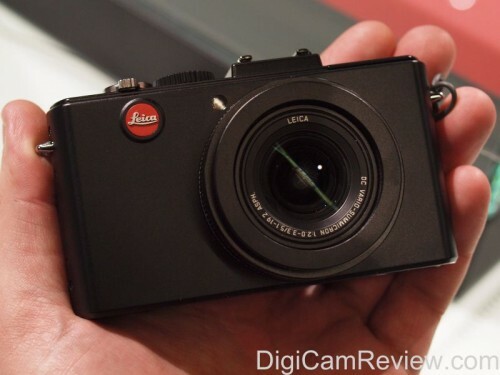 Fujifilm X20 Hands-On Photos – serious compact with 4x optical zoom. 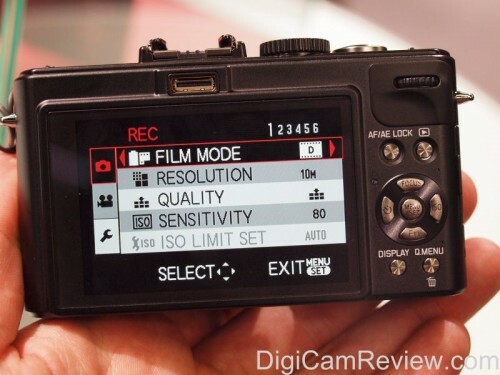 Fujifilm FinePix F900EXR pictures and hands-on – at Pocket-Lint. Nikon Coolpix P520 pictures and hands-on – at Pocket-Lint. Nikon Coolpix S9500 pictures and hands-on – at Pocket-Lint. Sigma DP3 Merrill Hands-On Sample Photos – the new Foveon sensor camera with 50mm Macro lens. Leica M Typ 240 Hands-On Sample Photos – Not at the show, but some of the first sample photos. A number of videos from Focus On Imaging are on CameraDiner. Focus On Imaging Video Roundup at DPNow – with captions. There’s also a podcast at TheActivePhotographer. If we’ve missed any additional kit coverage, please let us know! Canon EOS 6D vs Canon EOS 5D Mark III Review, 20mp vs 22mp Full-Frame Digital SLR battle. 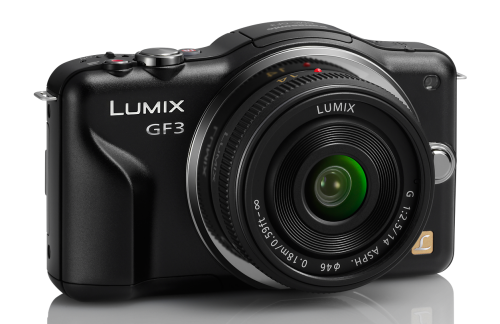 Panasonic has announced the new Panasonic Lumix GF3, a new compact micro four thirds camera, with 12 megapixel Live MOS sensor, 3 inch touch screen, built in pop up flash, 4fps shooting, full HD video (at 25fps), aluminium chassis, ISO160-6400, scroll wheel, and customisable quick menu / function button. The camera will be available in pink, white, black, red, and brown (depending on location) from mid July priced at £499 with kit lens (14-42mm). SteveHuffPhoto has just published their review of the new Leica D-Lux 5, announced at Photokina 2010, and based on the Panasonic Lumix LX5, it features a 24mm wide angle 3.8x optical zoom lens (24-90mm), with f2.0 aperture, 10 megapixel CCD sensor, 3″ screen with 460k pixels, 720p HD video, manual focus, flash hotshoe, EVF support, aspect ratio switch (4:3, 3:2 or 16:9 with 1:1 also available), 400 shot battery life, optical image stabilisation, and supports SD/SDHC/SDXC cards. We had a look at the camera at Photokina, and have posted photos of the camera in the gallery here. While we’re on the subject of pocket-zoom cameras, Steve Huff Photo has reviewed the new Leica V-Lux 20 based on the Panasonic Lumix TZ10 – it features a metal body available in black, and has a 25mm 12x optical zoom lens (25 – 300mm), GPS, 12 megapixel sensor, 3″ 460k screen, 720p video with stereo sound, optical image stabilisation, and comes with Adobe Photoshop Elements. 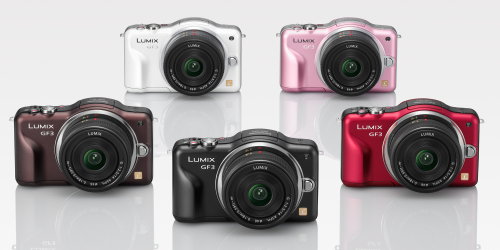 The Leica V-Lux 20 is available for £472, the Panasonic TZ10 is currently available for £253. This is one of the only reviews available at the moment, along with a the real life review from Beruit.